What does this have to do with choosing the right title for your book? Most of us would realize that the ice and soda were intended as a suggested use. This disclaimer was necessary, however, for the clueless folks who would insist that the picture misled them to believe the ice and soda were included. Just as clearly stating what is being offered or promised is critical in advertising, so is it important in your book title. Your book title is a billboard, a promise, an agreement to deliver certain content. A book cover may draw readers’ attention, but it’s the title that gets them to venture inside. How do you choose the right title for your book? Here are 9 tips that have worked for others. 1. Create one sentence that boldly sums up the contents or main point of your book. Within that sentence are the keywords that should be in your title or it may be your full title. When Robert Kiyosaki wrote his book If You Want To Be Rich and Happy, Don’t Go To School, a publisher suggested he change his title to The Economics of Education. I’m glad Kiyosaki didn’t listen, aren’t you? 2. While titles cannot be copyrighted, steer clear of emulating popular titles. Chicken Soup for the Soul, Fifty Shades of Grey, and an alphabet mystery series starting with A is for Alibi, have already been done, for example. Author Randall Hansen must have been ecstatic when sales of his 2009 book, Fire and Fury, spiked. Then he must have realized that Michael Wolff had used the same title for his 2018 book Fire and Fury, about the Trump White House. Since Hansen’s book is about the allied bombing of Germany from 1942-1945, it is probably not what a lot of buyers were flocking to buy. That means some buyers will write angry reviews, and that Hansen’s new wealth will soon disappear if folks request refunds. Yes, the buyers could have paid closer attention to the subtitles and the very different covers, but many don’t. 3. Settle on a working title while you’re writing your book. The perfect title for your book may not be apparent at the start. By the time you finish your book, however, the right title will likely emerge. 4. Reflect the tone of your message in the title. If you’re writing a how-to book, you don’t want your title to mislead your readers into thinking it’s a sizzling romantic novel. It may result in sales, but readers will be disappointed and unfulfilled. Readers who feel betrayed can leave nasty reviews, and likely request refunds. 5. Notice the nickname or short name you gave your book while you were writing it. One of the actors from the sitcom, That 70′s Show, revealed that this was not the original title. It was the nickname the cast gave it during rehearsals. By the time it was ready for launch, the producers decided that the nickname was the right name for the show. 6. Listen to how you respond to questions about your book when you are speaking to groups or your accountability partner. In an effort to explain the differences in men and women during one of his live presentations, John Gray responded with “Men are from Mars, women are from Venus”. Bingo! He had found the perfect title he had been seeking for his book on relationships. 7. Go for a simple and clear title rather than fail at being clever. The “how to” title is still the most popular book title. It appeals to our never-ending quest for doing things, taking action, and making improvements. “Murder at the [location]” will still grab mystery lovers. The [odd number] Ways to [do or accomplish something that we want] is irresistible with its promise of actionable steps. 8. Give your book a subtitle, if necessary for clarity. One book that could have benefitted from a subtitle is How to Avoid Huge Ships by John W. Trimmer. When Captain Trimmer got tired of running into small boats, he wrote this serious book directed at small boat owners/operators to help them avoid getting into the pathways of big boats which can not always see much less miss hitting them. Unfortunately, many of the 1,226 Amazon reviewers had a lot of fun with this book title. With the original price tag of $75, many of the reviewers may not have actually bought the book, but they couldn’t resist taking aim at that title. Here are some of the reviews of Trimmer’s book that made me laugh out loud. Read this book before going on vacation and I couldn’t find my cruise liner in the port. Vacation ruined. Huge ships have been the bane of my life, so I was very excited when I bought this book. However, Captain Trimmer does not provide the helpful and insightful advice that I had hoped for and I did not feel that this book had any noticeable effect. If anything, I now encounter more huge ships than ever! Would not recommend. After reading this book, I relized [sic] exactly what I was doing wrong everytime I was run over by bardges [sic] on the mighty Mississippi. I always played dead and hoped the boats would go away, like I was taught by a book I read, “How To Survive Bear Attacks.” I guess I thought the lessons taught by that book applied to everything life, but it clearly meant just bears. Now I am surviving the waterways better than a BP oil rig. 9. Be outrageous with a risky, even risque title. Forget about a modest or politically correct book title when you want to grab your reader by the collar. Assholes Finish First by Tucker Max–a funny book about Tucker’s misadventures. Some criticized it for being too vulgar, but one that didn’t deter its popularity. Which of these 9 tips will best help you write the perfect title for your book? Tell us in Speak Your Mind below. Most first-timers have trouble with just getting started on the contents, much less finding the right title. 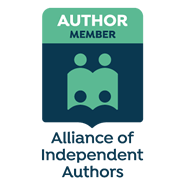 If your dream of writing a book has been stalled by fear or uncertainty, then perhaps you can benefit from my coaching services for aspiring authors. Send me an email to set up a discovery session. Ready to increase your book sales? Market wisely with 52 Weekly Book Marketing Tips. We expect parades, concerts, TV specials and community events on Dr. Martin Luther King, Jr.’s National Day of Service. When I was still teaching, my students looked forward to this and any holiday as time off. But if we want to truly honor King, his birthday should be a day on, not off. It’s a time for us to show up, not on just one day, but a time to follow his legacy of service everyday. You can get ideas here. If King’s call to serve has a familiar ring, it’s because the same message echoes throughout history. You don’t have to go far nor do you need loads of skill or buckets of talent. Connecting with an established charity, church or other community groups can do enormous good and be gratifying for you, even if you work with them only occasionally throughout the year. In every age group from premature newborns to senior citizens are people longing for conversation, a visit or a touch. Local and global groups can help you find people in one of these groups if you are drawn to serve one of them. One neighborhood rallied around to help each other when someone was recovering from illness and needed a hot meal or were unable to drive and needed transportation to medical or other appointments. When I owned a gift basket business, the owner of a customized cookie company recognizing that I was new to the business took time from working in her booth at the California Gift Show to sit me down and give me some great marketing advice. Her spontaneous and generous mentoring inspired me to help other aspiring entrepreneurs through a nationwide network, a newsletter, speaking at gift shows. and presenting workshops at gift basket associations. Serving others is mutually beneficial. Research has caught up with ancient wisdom. Scientific studies and positive psychology have toppled some of the myths we have about what makes us happy. What is consistent among the findings is we increase our own happiness by expressing gratitude and helping others. If you are curious to find out where you stand on gratitude and assess your level of happiness, take one of the many free questionnaires on Authentic Happiness. Serving others is most powerful when it extends beyond one day. Many communities and organizations used the National Day of Service as the kickoff day for extended service. Some groups provide healthy snacks to nearby schools. Philadelphia holds a citywide event where citizens pitch in on various projects. Some health organizations hold events calling attention to health and wellness issues in their community. King filled a void when he spoke out for justice and freedom. I encourage you to fill a void in the niche you serve and show flair and style in the life you live. Let the way you earn your living also enable you to serve others. Even if you are working on a job that is just a temporary stop along the way to your ideal career, give your sincere effort and best service, not just for others, but for yourself as well. To serve, as King points out, all you need is a heart full of grace and a soul generated by love. Thankfully, these things are within everyone’s reach. To tap into them all you have to do is go within, believing that they are yours. Let the National Martin Luther King Day of Service be a reminder to start your daily activities from your heart and soul, and carry out all your interactions with integrity and joy. Tell us in Speak Your Mind below how you plan to honor King’s legacy throughout the year.